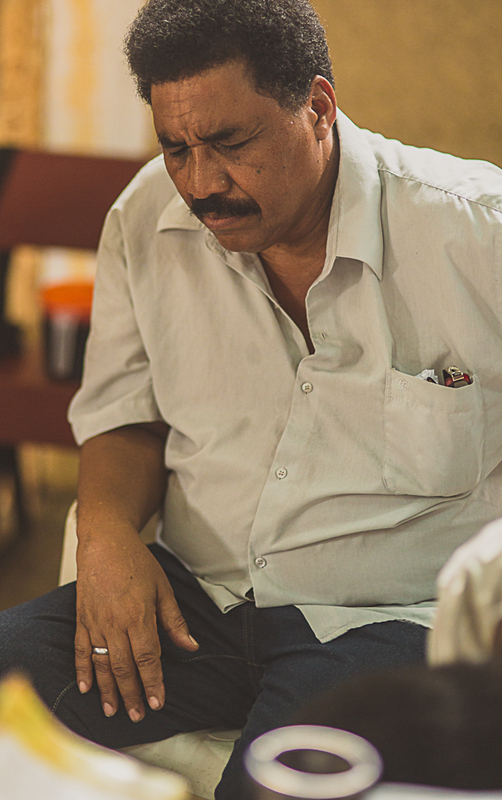 Please pray for pastor Hector Malpartida in Lima, Peru. He continues to battle cancer and has been very weak these past weeks. Pray as well for the church he pastors in the district of Ventanilla. “My name is Elias. I’m originally from the town of Huancavelica. I grew up in the midst of a lot of violence in my home. My father drank a lot and mistreated my mother day and night. We were still little, but sometimes when my father was drunk we would sleep outside in the hills nearby rather than stay in the home. I was in that environment until I was eighteen, when I enrolled in the Peruvian army. At that point, there was a full-out war on the Sendero Luminoso terrorist group in the country. We had many encounters with the terrorists, and many of my friends were killed in the fighting. When I left the army I returned home. One day my father returned drunk and began hitting my mother. My brother and I grabbed my father by the arms and we told him that he better never hit my mother again. Thankfully, that was the last time he did. My life was a complete mess at that time and my experience in the army had done a lot of damage personally. I decided to move to Lima where I got a job in a small shop. I remember the times as a child when I used to visit my uncle in Lima. He would always talk to me about Christ, but I would just mock him. But now that I was in Lima again years later, my uncle began talking to me about the Lord and I began to feel the need to attend a church to hear the word of God. There happened to be a church just behind my sister’s house and I began attending there.